From the Plainwell & Otsego (MI) Enterprise. To read the entire story, click here. Senior year of high school is a busy time filled with graduation plans and college preparations. Erica Marshall, 17, just graduated from Otsego High School and is on the way to Grace College in Indiana next year to study music education. She’s also on her way to the Miss Michigan pageant June 18-21 in Muskegon. 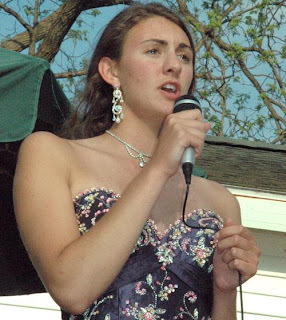 As the current Miss Allegan County, the Otsego resident has had a busy schedule since her older sister, Amanda, Miss Allegan County 2007, crowned her last year.